Weeeeellll it’s that time of year again. We know you come to us for the best in media consumption: music, live shows, movies, TV shows, and books. But, did you know we also have exquisite taste in consumer goods? Yes, we do! Like every year, we’re very glad to show you some of the coolest products this side of the Mississippi. Regular readers will notice some regulars here (we can’t get enough of them, which is why we keep coming back!) and some new entries. That’s how we do it: we mix some old and some new. Remember, it’s the Holiday season and we’re all in a shopping frenzy,but it’s important also to give. Especially to worthy causes like your local food bank. So, please subscribe or make a donation to a charity or some place that needs it (we have some suggestions), and reward yourself with a little something from our list. We start off every year with magazine subscriptions because now more than ever it’s important to invest in some good old fashioned journalism or to just donate to some charitable causes. You can buy nice things for your ears, body or eyes, but what about your mind? It needs food too, and the very nutritious kind.These are just some of the outstanding publications which have proven tried and true to their cause. You can’t go wrong with them. The Nation, The Progressive and Mother Jones are the bees knees when it comes to news, and are loaded with worthwhile and helpful pieces that serve to empower and enlighten. As far as music is concerned, Razorcake is just about the best damn music zine out there and a great place to find out what all the cool new bands are (they’re not better than Ground Control, of course!). Finally, there are plenty of charities and organizations that need your help this year. You can do so on a local level like your local food bank, or more international organizations like the NRDC which is geared towards climate change reform. There are just a few ideas. Your money will be well spent in any of these places. You know, I have to say I owe a lot to Kikkerland, and I say that because they’ve gotten me out of so many jams. Most of my jams involve purchasing presents, as you can probably guess. But I say this because Kikkerland has, by far, the largest variety of trinkets, toys, utensils, accessories, playthings, housewares, etc etc etc, that I’ve ever seen in my life. They’re just the perfect place to go for stocking stuffers, unique gift ideas, or to find out that you needed something for your house you didn’t already have. And Kikkerland has cool designs in mind when you shop with them. Their windup toys are unique and bound to please adults and kids, their robots are innovative, their kitchen products are fun to use and will make you want to cook more, and their living room gear will perk up your house or apartment. I myself am also a fan of their outdoors gear and am rocking their bike accessories like their wireless speakers and phone holders which make biking to work fun for once.Honestly, words fail to describe the sheer variety and innovation of their warez so you need to mozy on over to their site ASAP. 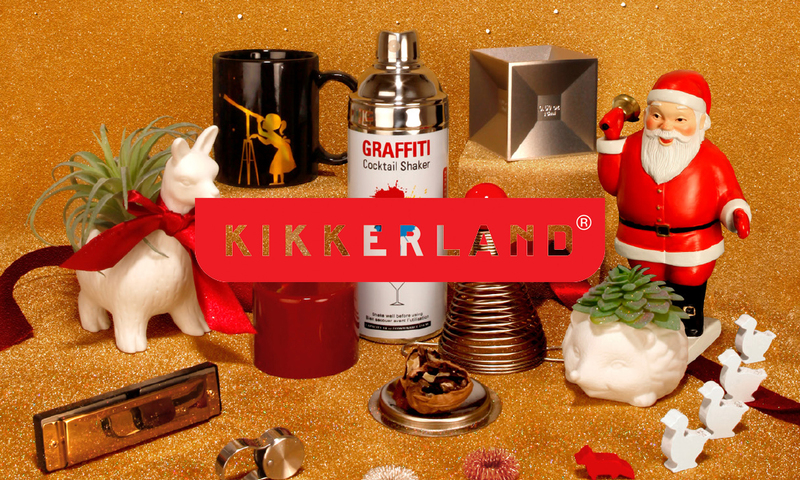 We all have people that are hard to shop for and that’s why you need to check out Kikkerland. Your Christmas shopping isn’t complete without them. You name it, they’ve got it! One of the things I love about Mondo Tees is how they take charge in everything they do. You can shop at many of those all-encompassing websites (you know the ones I’m talking about), but with Mondo you get highly original,highly desirable stuff. 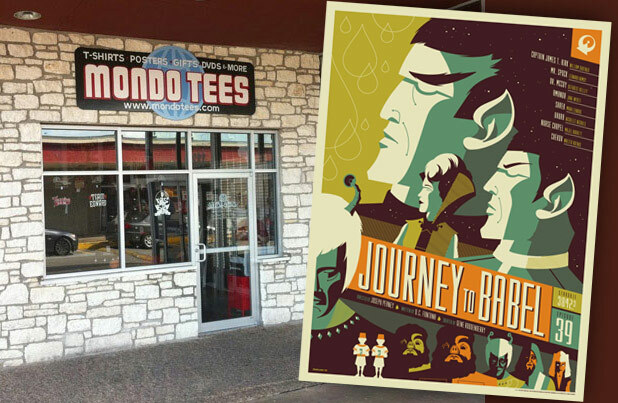 They’ve really branched out since being a t-shirt company (hence the name Mondo Tees) to really become an everything-that’s-fun company. Of course we can’t talk about Mondo tees without talking about vinyl. As much as they’re also an art, figurine, poster, pin and shirt company, Mondo has been absolutely knocking it out of the park with their soundtracks. What also helps is that they have good taste in movies. With them, you get reissues of classic soundtracks and original issues as well. All of their vinyl has reworked art with tons of attention paid to detailing the packaging. They painstakingly design their gatefolds and covers and go right down to the vinyl itself, often offering not just wild colors, but some truly bizarre patterns as well (like the Thoroughbreds checkered pattern, just to name one). 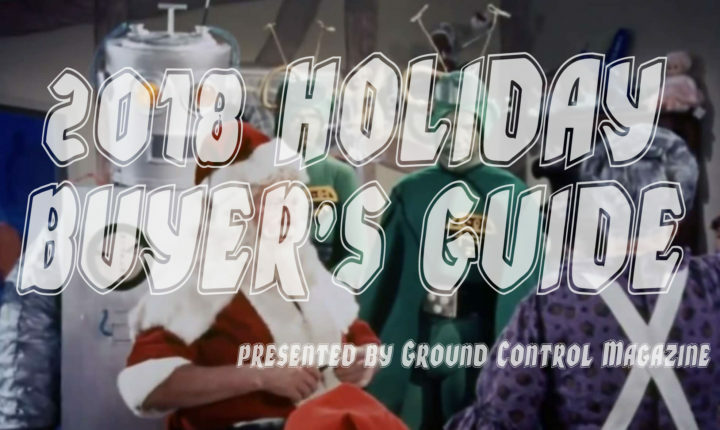 This being the Christmas season, Mondo has you covered with some great Christmas time releases that you can play at your parties or just to relax around the house. Of course we’re talking about the Home Alone soundtrack with all its childish mischief and the original Batman soundtrack which has the Danny Elfman touch you’d want this Holiday season. Christmas not your cup of tea? Well, not to worry, because Mondo has all kinds of music available to its listeners, like the Bill and Ted’s Excellent Adventure reissue with cool as beans Wyld Stallyns cover, straight from the movie itself. It doesn’t matter what you pick from the Mondo store. Chances are you’ll end up with something unique, meaningful, and very very cool. We’re living in the age of Podcasts. Which means we’re living in the past somehow, because podcasts are basically radio shows. But, the difference is that it’s been elevated to an artform these days. A very niche artform, but an artform, nonetheless. Don’t listen to what the New Yorker is trying to tell you — how podcasts are great because the elites are making them good. Podcasts are great because the people themselves have started making them. Like with any good artform, it goes from the bottom up. 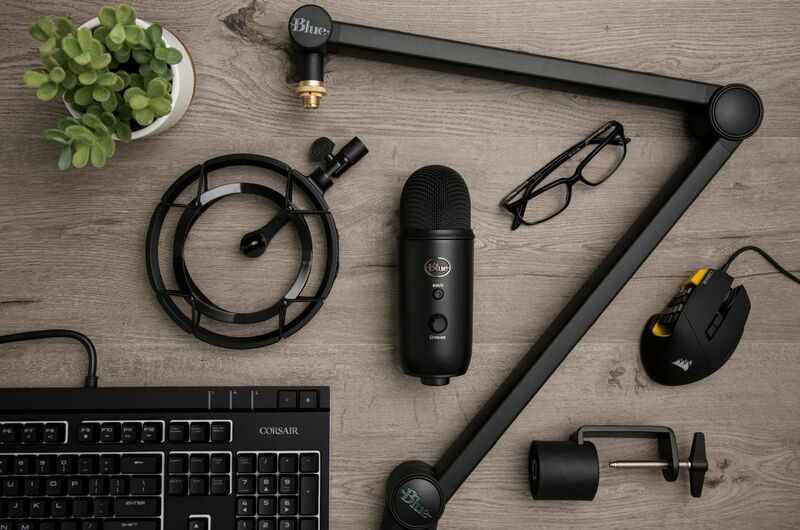 To get you started on these podcasts, you gotta look to Blue Designs and their stellar line of USB mics. I know, I was a purist for the longest time, touting the greatness of analog. And there’s a lot to be said for that. But, there’s also a lot to be said for the slickness and ease of the USB mic, and Blue makes about the best there is. They have this great podcast set which includes one of their fantastic Yeticaster mics, a shock absorber, and a desk crane. That way, you can have your hands free and let them do the work while your mouth does the talking. Also, let’s not forget the headphones that Blue Designs makes. Yes, they’re absolutely futuristic looking in a 1960s, kind of way, but they also sound awesome. How much would you pay for a mic like this? Well, Blue keeps it easy on the wallet and great on sound. With them, you get world-renowned audio at a price that doesn’t break the bank. To say that we’re impressed is simply an understatement. Their designs are so cool and sleek that you’ll just want to try them all out. Whether it’s as simple as their bottle opener, building blocks, wooden robots, keychains, pillows, or puzzles, there’s an air of nostalgia to their stuff. Probably some of that has to do that the material is as important as the product themselves. Just look at that beautiful wood, those shiny polished metals, that immaculate paint job. 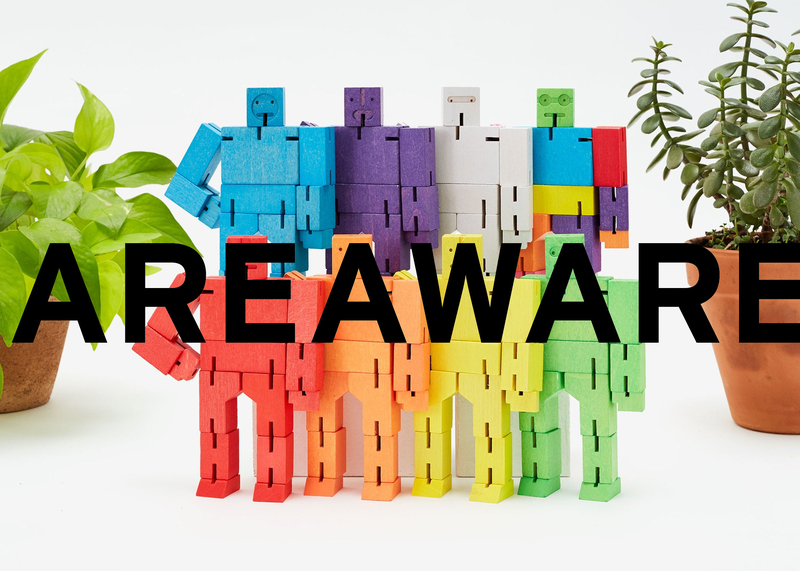 Areaware makes things that are pleasing to the touch and that you’ll actually want to touch and use. They offer the kind of tools that look good on display, know what I mean? Areaware can be our dirty little secret because they’re going to get you out of a difficult bind when you’re shopping for that special person in your life or if you want a common house accessories that looks completely reduced and reinvented. I don’t think anything has made me appreciate my watch more than the age of smartphones. The truth is, of course, that our phones have become a way for us to unnecessarily clutter our lives. We have all these useless apps and depending on it for validation. And you know, sometimes I just want to check the time. Next thing you know, I’m fiddling with my phone just to figure out what time it is. I bike to work, and let me tell you, there’s no better way to find out if you’re late than just looking at your wrist. 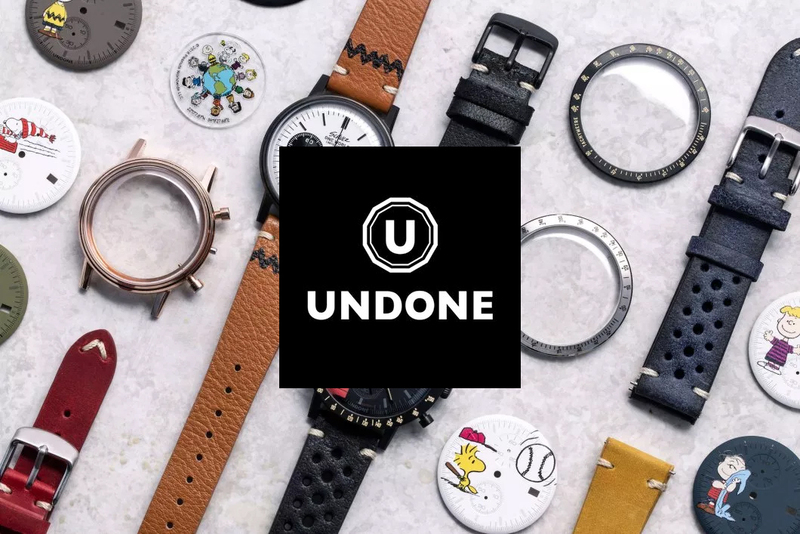 There are some pretty cool watch companies out there and we are quite impressed with the folks at Undone watches. Mostly because of their design and quality (and really, is there anything else?). Undone offers such a wide variety of styles, both modern and old fashioned (you can guess what we love here) and in addition to that, let you customize your selection by adding the flare you want. It’s really a treat for those of us who like the choices presented to us, but would like to tweak it just a bit. And now they even have a fully licensed Peanuts model as well, and nothing brings up memories of me plowing through the old Peanuts comics like seeing Snoopy on his doghouse with Woodstock floating about. These are fun for both kids and adults. And of course, Undone watches has a Swiss design as the heart, and you can bet this means quality design. Their watches are strong without feeling bulky and are just the right weight to make a presence without weighing you down. Rediscover a vital accessory and get yourself an Undone watch. Let’s be honest, we could all stand to live less cluttered lives. My apartment is filled with speakers and wires and all kinds of electric contraptions, and I’d do something about it if I could. Lucky for us, with Native Union, there IS something we can do! So what about all these wires and chargers you have lying around the apartment, the house, or your dorm? You know, you wouldn’t need so many different wires from so many different companies if you bought the right stuff the first time. 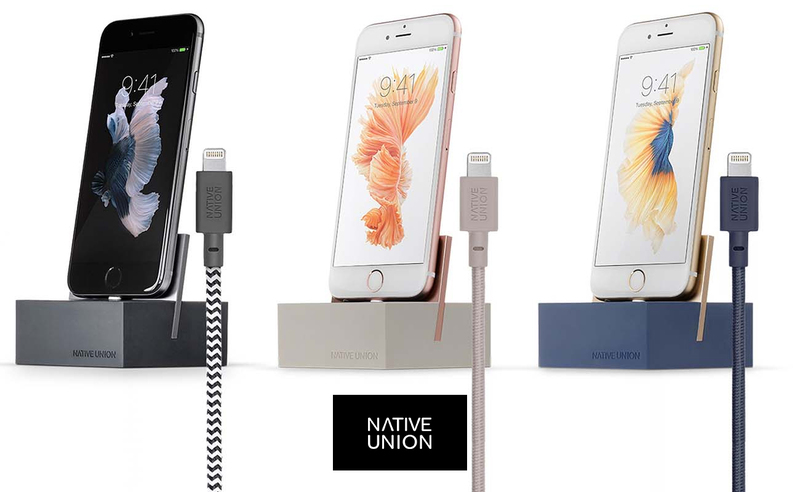 Native Union chargers are where it’s at, people! Their chargers (for Android or iPhone) are made from durable bendable cables that go up to 10 feet! So you can charge your device from wherever you’re sitting in the room. And as far as charging stations for iPhones go, Native Union makes a cool, slick, classy charger that works wonders! It’s like Donald Trump would endorse it, except this is for actual thoughtful people and not shameless assholes! And while you’re at it, check out the rest of the accessories that Native Union carries to help you with your music device like phone cases and phone charging cables which are actually made out of durable material and are tangle-free. Not to mention, your phone will actually LIKE being hooked up to them. Do it! Nothing puts the fear of the devil in you quite like buying a house. It’s your little baby (until you actually HAVE a baby) and you want to make sure it’s the safe haven it should be. All your effort goes into making it the best it can be, and you pour money into every little detail of your new home. But what about the safety of those inside? 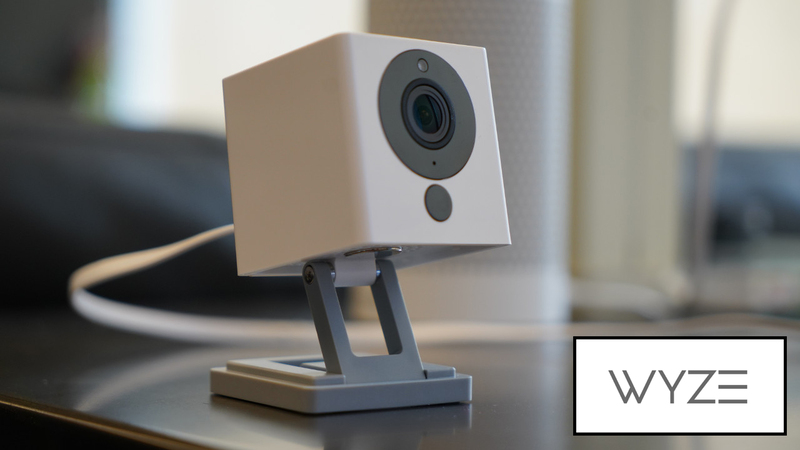 We’ve dabbled with some of the more expensive security cam providers in the past here on Ground Control and after trying Wyze cams, we’ve found our new favorite security cams. Wyze cams are so minimalist in design that it’s shocking how much they actually do. Setup is such a breeze. Wyze cams need an WiFi connection and an electrical outlet and you’re off to the races. Download the Wyze app and you can check in on your camera any time any where. They even have night vision which you know will come in handy. Want to step it up a notch? Insert a microSD card into your cam and you’ll be able to continually record for weeks at a time or on the spot when you notice something suspicious on your cam. And guess what? Wyze cams can take a beating when it comes to weather and work through the heaviest rain or show. With the Wyze app you can combine all the cameras around your house into an all-in-one do it yourself security system. And the best part is that Wyze cams are incredibly affordable…INCREDIBLY. Wyze cams are the choice you won’t regret. You’ll get the highest quality product at just a fraction of the price. We love these cams. My relationship with Audio Technica has been a great one from the very beginning. Since I started taking music recording seriously, no microphone has served me better than Audio Technica. I’ve recorded entire songs using a single Audio Technica condenser mic and these songs are still probably my favorite. The reason is of course that AT mics are very versatile and have the tendency to pick up exactly what you want. I tend to lean more towards a garage sound with my music and their condenser mics are perfect whether you want to pick up a room’s resonance, as an overhead for drums, or if you want to pick up the intricacies of a more delicate sound like acoustic guitar. And as for vocals, forget about it, you’d be hard-pressed to find a better mic. As an old guy, I always leaned towards analog mics with an XLR jack, but it’s taken AT shifting to the USB format to get me on board. I’m digital when it comes to actual tracking and with the AT mics I get the best of both worlds. The AT 2020 USB is as good a place as any to start exploring this format as it gives your both quality and affordability. But, you know AT does more than just mics. There’s a reason why they’re the favorite for DJs and studios. Just do me a favor and don’t call them cans, because no one with self-worth calls them that. Have some respect. AT headphones are just that: HEADPHONES. They have an incredible line of bluetooth, wired, and noise cancelling headphones that allow you to immerse yourself in the music, whether you’re on your daily commute, or cozying up to your record player reading the liner notes. They’re durable, dependable and comfortable, like the ATH-M40x. The fact is, you’re not serious about audio until you have Audio Technica. I’m not the most organized guy in the world. I’ve got a million things to do and don’t know how to even start doing them. The worst is the paralyzing feeling you get just thinking of all the the things you’re behind on. Probably the best way I’ve tackled this issue is by using these Field Notes books to write down the ideas flying around in my head. I can make a simple list of things I need to do, and the feeling of crossing them out is nothing if not an incentive to get things done. They’re also perfect for when things pop into your head. I had a long road trip planned and as music ideas would pop into my head, I just added them to the list on my Field Notes book. 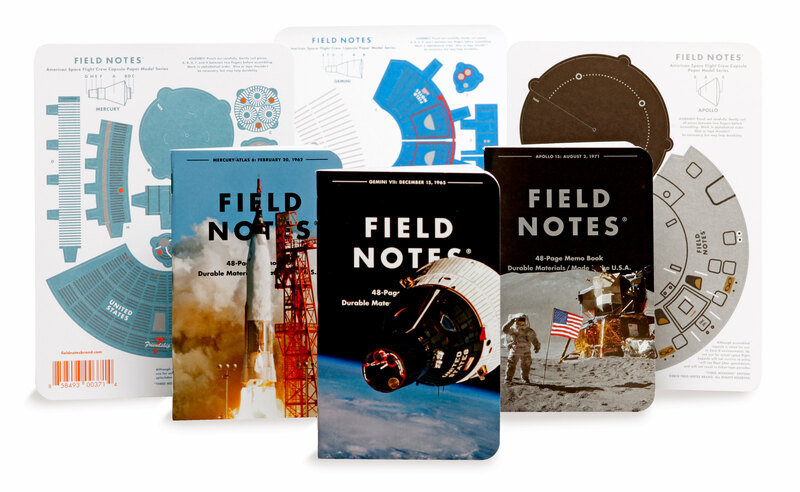 One thing we love about Field Notes also is how they release new designs. You have to be quick on the draw, though, because they sell out pretty quickly, and with good reason. The latest astronaut batch is just so cool and classic looking. We love the sleek black or grey look of the classic Field Notes books but these modern designs are also quite our cup of tea. Field Notes are just the cool accessories that actually make great stocking stuffers. You can combine a calendar or notebook with some of their great pencils, stationeries, or pens. They’re the perfect gift your loved ones didn’t know they wanted. Tile is the company this year that’s come totally out of left field that we know we couldn’t live without. Sure, we lose our phones often and can use an app to find them, but what about our non-digital things? 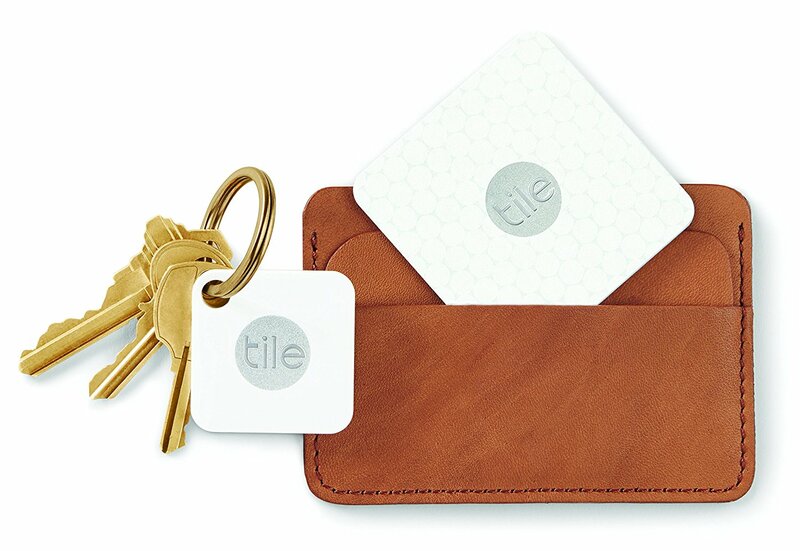 Tile is what we use when we lose our phones, wallets, purses, keys or bags. You know, EVERYTHING ELSE IN OUR LIVES. The Tile Pro, Mate or Slim works perfectly by attaching to your cherished item like keys or laptop and you’ll have a way to always find them. And the slim design is such a great feature. I can easily store mine in my wallet or my phone case so that I never lose them. I can’t tell you how many times I’m scrambling to find my keys or wallet or phone when I need to just head out the door. And another cool way to use your Tile which we think it pretty inventive is on our earbuds. We jam old school here and still love our wired earbuds. We don’t cut corners with them either so these are as high in quality as they are in price. They’re also things that are easily lost. Well, you can just attach them to the base of your earbuds, so you can always find them. Because let me tell you, a silent world is no fun. I wouldn’t be caught dead without my personal earbuds to get me going in my day. There it is. Tile is the simple solution to the problem we didn’t know we could fix. I’m blessed with these incredible ears, let me tell you. They are sensitive both the wonderful sounds of the universe and skilled at filtering out stupid sounds, like the ones modern mainstream music has placed all around us. But this elevated sense of hearing also has its drawbacks when it’s time to sleep. I sleep with earplugs and a noise machine, and even though I’m still not sure if this has a negative impact on my hearing, I do know that it helps me sleep like a baby. In the warmer months I can always count on the air conditioning or fan noise to provide some background noise, but now that winter is here, I keep relying on a noise machine app on my phone to do the trick. It does the trick, but just barely. What I need is something with a richer sound and the Marpac Noise machine the Dohm is exactly what the doctor ordered. 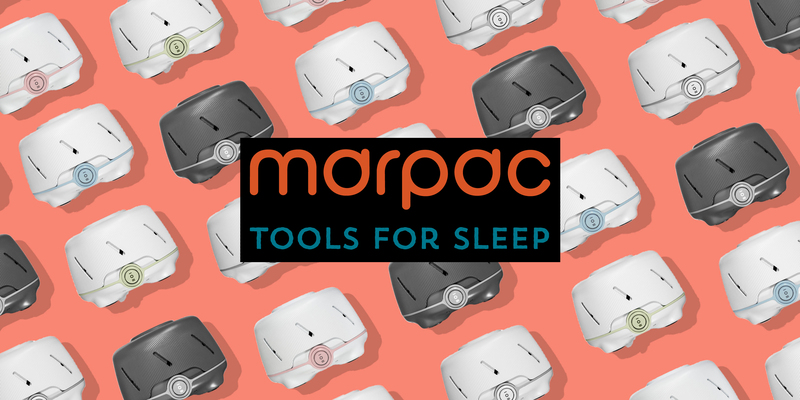 Marpac’s noise machines offer a wide variety of noises in just a tiny little thing. I keep mine under my night table and you can hardly notice it. Surprisingly, it’s able to fill the entire room with noise and lets me quickly slip into dreamland. Marpac even has a travel size noise machine called the Rohm that you can easily take with you on the road. You’ll sleep like a baby, whether you’re at home or not. La Colombe has become truly an impressive institution. They started as a small local shop in Philadelphia and have just about taken over the entire United States. Many a times have I frequented their locales while in the city of brotherly love. I have fond memories of their Rittenhouse Square location, and the accompaniment I would get from their iced Americanos on a hot summer day. Now they’ve become coffee palaces offering both a grand and personal coffee drinking experience. I knew they were on the right track when I started spotting their peppermint mocha latte cans at Trader Joes. It’s a little taste of home right here in New England. What La Colombe does as well as their coffee is focus on the presentation. Just look at their packaging and you’ll know these guys are not messing around. They make coffee that tastes delicious in a packaging that’s visually stimulating to behold and feels good in your hands. Their coffee beans even come in those great plastic bags with the built in air escape mechanism. 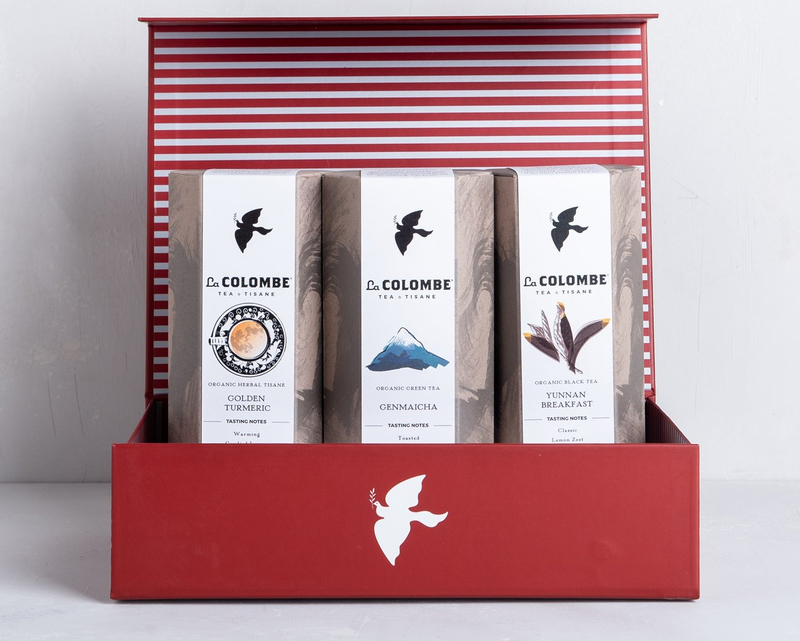 As far as gift packages are concerned, La Colombe has got it figured out. And a new addition to their repertoire is their cold brew packs. The peppermint latte cans are a perfect addition to any day for a coffee lover, whether it’s cold or warm outside. They’re not too sweet, but are full of flavor. Just what the doctor ordered. 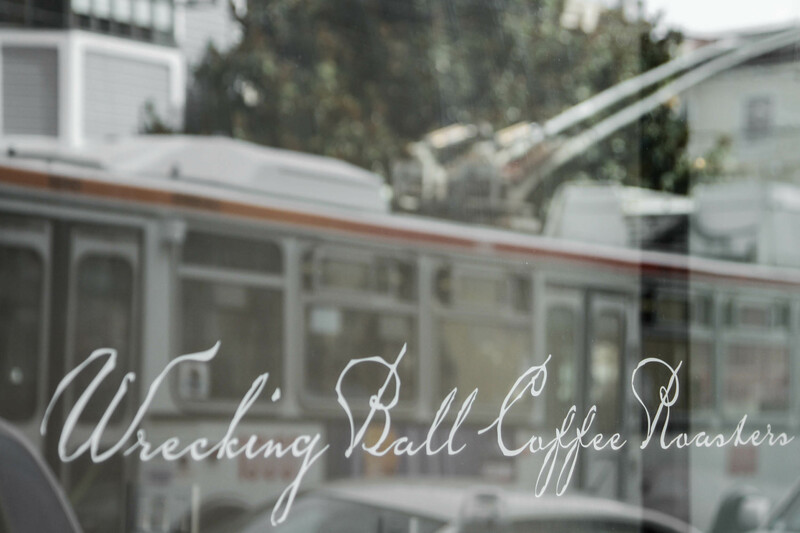 We’re pretty lucky to be living near the best damn coffee shop in the world. And there are many reasons why this place is the best: their attention to detail, the passion in every cup, and I’m damn sure it’s also the kind of beans they use. Well, guess what, this shop uses none other than Intelligentsia Coffee. That’s all I needed to know to become a fan of these guys. Intelligentsia doesn’t just serve the local Boston area with one of the coolest coffee shops in Cambridge, but they can be your private roaster too. That’s because they offer a subscription service that caters to those who like their coffee light, dark, blended, cold brewed, or solely as espressos. Yes, we should all be supporting our local roasters, but even if you don’t live in New England, these guys are worth a shot. Personally I’m a dark roast guy and Intelligentsia has an amazing selection of fair-trade beans. Their dark roasts are deep and bold, fragrant and full of flavor (just don’t brew it for too long, or you’ll taste that too). And of course their presentation doesn’t hurt either. There’s a certain visual aesthetic that comes with their bags. They’re just so cool to look at. But then again, you’re going to need accessories with your coffee and Intelligentsia has you covered as well. Their website has a wide range of coffee roasters, brewers, grinders, servers, mugs, spoons and other accessories. It’s simply a great one stop shop for a coffee lover. Intelligentsia knows coffee, and if you drink it, so will you. How are all the great coffee roasters so far from where the coffee is actually made? Truly, they would have no business operating from a place like San Francisco, right? Wrong! Wrecking Ball Coffee does it because they know how to do a job well. We love our coffee here at Ground Control and it’s the purest source for energy to get you all those articles you need. Well, Wrecking Ball is just about the best around. They offer a wide variety of roasts, from a variety of sources, and roast them fresh when they send them to you, so you know you’re getting top quality stuff. And don’t think we didn’t notice that Wrecking Ball has a slick and beautiful packaging, pristine and white, to go with their beans. It looks as good as it tastes! And let me tell you, there is truly some bang in this coffee. We’re dark roast fans over here and these guys do not disappoint. Their coffee is complex and full of flavor, and without all that bitterness that makes coffee undrinkable. In those late nights studying you’re going to need a guiding light showing you the way. Who else would you trust but Wrecking Ball! 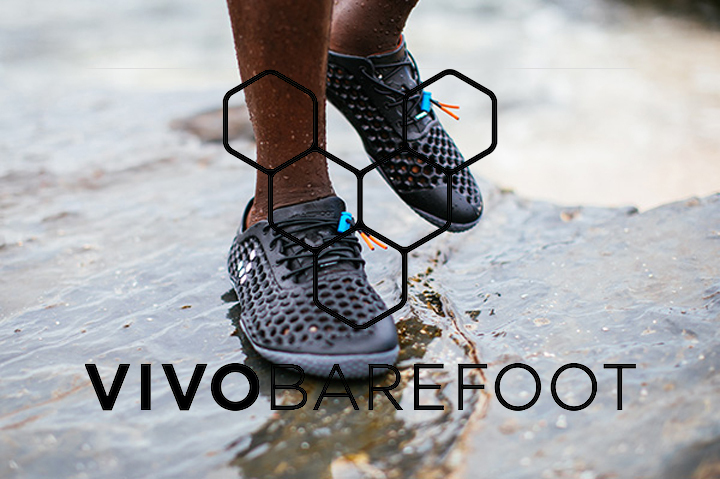 Vivo Barefoot takes the award this year for being both practical and a good cause. One of the bummers these days is workout shoes. Or just shoes in general. They seem to have gotten larger and bulkier. Look at all these millennial attires: shoes that are reminiscent of Back to the Future with their high tops and retina-burning bright colors. Even regular workout shoes are this terrible mesh material with extra wide soles or on the other hand, these ridiculous finger shoes. Vivo seems to have gotten the message and instead focuses on minimalist shoes that are fit for use in any occasion and don’t cause seizures when you look at them. But they’re not a commie all-in-one design kind of company either. Vivo offers a wide variety of looks and their shoes come in a remarkably wide array of styles. There are hiking shoes, office shoes, workout shoes, running shoes, or every-day shoes. And even at their most colorful, Vivo shoes remain tasteful and help you make a statement. And the best part is that Vivo shoes are made from recycled plastic. Yes, while other companies are busy lying to us about their space-age technology, Vivo barefoot actually makes a positive impact on this earth. Their technology lies in upscaling and design. So stop looking like a clown and start having some class for once. Get your Vivo shoes! As I said, I’m an old school guy when it comes to audio. I prefer my music on vinyl, I want my recording mics to have XLR connectors and I want my earphones and headphones to have wires. You can imagine how I’m taking the news that the audio jack is being phased out of smart phones. But, the thing is, phones are an inferior way to listen to music anyway. And don’t even get me started on bluetooth. It’s been absolutely impossible finding wireless headphones that give high quality audio while not cutting out. That is, until I found the Sennheiser HD 4.40BT. The HD 4.40BT is a thing of beauty. It gives you some of the sharpest and clearest acoustic sound you’ll ever hear, it has a beautiful dome-like design, it folds into a compact size,and it’s truly reliable. You can’t say that for everyone nowadays. Yes, I just found the perfect way to keep the music going at work because I can listen to my music while still keeping my phone charged. Did you ever think of that? 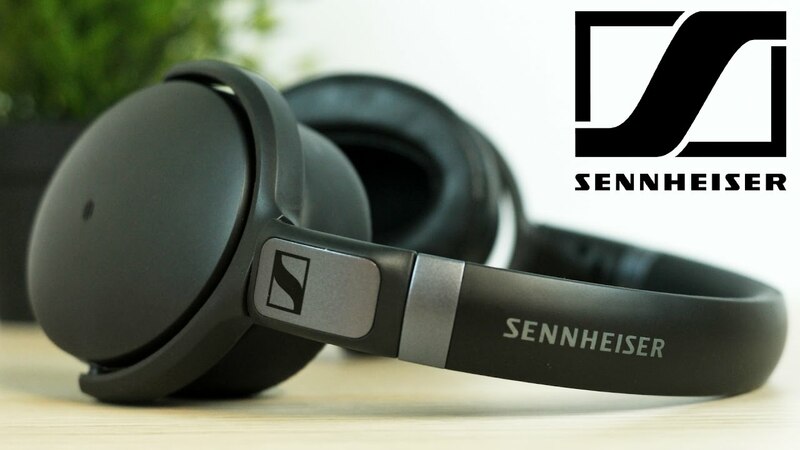 The Sennheiser HD 4.40BT are a killer pair of headphones that take your music listening to another level.